“The miracle meeting” has happened. The Syrian chief of the office of home security general Ali Mamlouk has visited Riyadh and met with the Saudi deputy Crown Prince Mohamed bin Salman [son of current king] as a result of a Russian-brokered initiative. Differences were discussed. On the 19th of June, President Putin received the Saudi Minister of Defence the deputy Crown Prince. The meeting with the “uncrowned king” dealt with many files: Yemen, weapon deals, nuclear reactors, price of crude, and most importantly Syria and terrorism. – The Russian prediction was that the nuclear deal with Iran was ready, constituting “bad news” for Riyadh. – It was clear that ISIS has declared mutiny on its original supporters and turned into an international danger, especially for Saudi Arabia taking into account its status as the home of Islam. It is also a danger for Russia considering that many of its fighters come from central Asia. – It became obvious that the war on Yemen was not going to be a walk in the park and may end up as a long protracted war. Saudi Arabia had already been giving signs of dissatisfaction from the inadequate American support and became convinced that any settlement will require a Russian role, especially that Russia has vetoed the Arab-initiated UNSC resolution seeking placing Yemen under Chapter Seven and which would prohibit any army shipments to the Houthis and enforces sanctions against their leaders. It must be remembered that the previous Saudi Foreign Minister Saud Al-Faisal was one of the staunchest advocates of this failed resolution, together with Prince Bandar Bin Sultan who was sacked earlier on the 29th of April. Moscow seized the moment and Putin laid out his vision of the situation in Syria to Mohamad Bin Salman: After four years of fighting, there is a tangible change of in the international mood. Geneva 3 is no longer on the table neither is Moscow 3 or Moscow 4. In the meanwhile, terrorism is creeping towards your homeland. In the meantime also, the position of the Syrian Army is improving on the ground and there are no other parties left who are convinced that the Syrian “regime” should fall other than Saudi Arabia and Turkey. There is no option but to cooperate with him [ Assad] in order to fight terrorism that is threatening everyone. 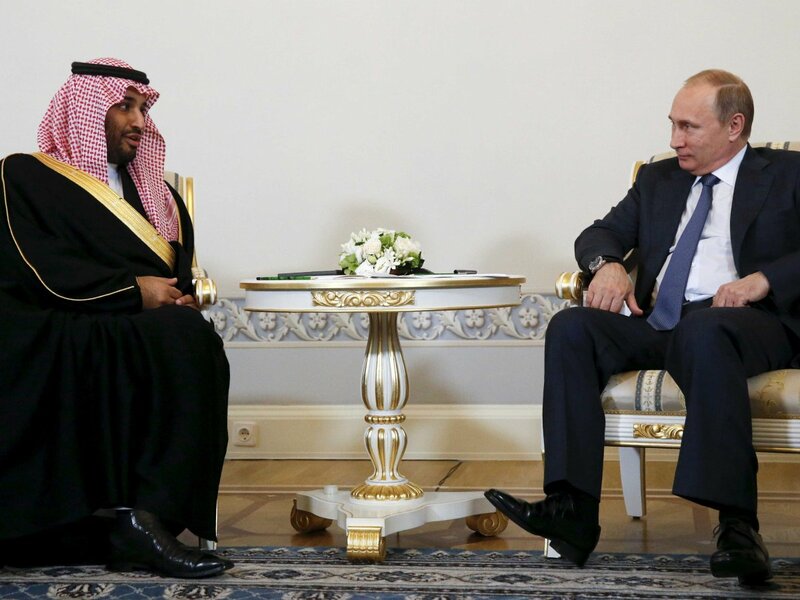 The Saudi Prince seemed convinced though very reluctantly that the essence of Putin’s harangue was that the Syrian “regime” is here to stay. 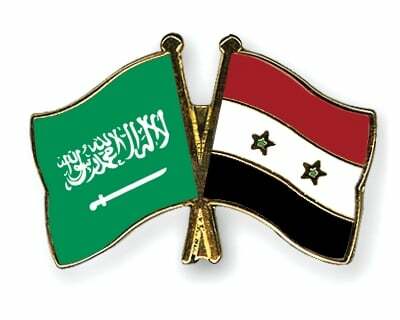 This encouraged his host to go a step further and suggest a meeting between the Prince and a Syrian official without any preconditions. Ten days later, on the 29th of June, Syrian Foreign Minister Walid Mouallem together with his deputy Faisal Al-Makdad and Buthaina Shaaban who is a counsel for the Syrian President, arrived in Moscow. Putin renewed his commitment towards Syria’s “government and its people”. He suggested the formation of a quadrilateral anti-terrorism coalition to be comprised of Syria, Saudi Arabia, Turkey and Jordan. Iran was excluded as the Russians are careful not to intimidate the Saudis. The Syrian envoys were unable to hide that they were taken by surprise, and this is what Mouallem referred to later on when he said that this “will require a miracle”. Putin however insisted that the proposal be taken to President Assad and he [is Assad] agreed. The proposal remained confidential between Assad, Mouallem and the chief of home security general Ali Mamlouk. The Russian secret service was given the task of communicating with Mamlouk to make it happen. Then there was a second communication from the Russians saying that the Saudis insist that the meeting should be held in Riyadh, and Damascus did not object. A few weeks later, a special plane carrying the deputy Russian chief of intelligence landed in Damascus and flew with general Mamlouk on board bound for Riyadh. The meeting was held in the presence of the Saudi chief of intelligence Saleh Al-Humaidan. This will be the end of the actual translation. All of the above, including the introductory paragraph are actual translations of the original text (Al Akhbar). The remaining part of the original article dwell into the details of the talks, but the gist of it is actually captured in the introductory paragraph. Both parties lashed at each other accusing each other of inflaming the situation. There is nothing to indicate that this was not done within the norms of diplomacy. The meeting concluded without reaching any results, but the ice has been broken. It confirms that the original anti-Syrian coalition has capitulated. It is a recognition of Syria’s upper hand on the situation on the ground. It implies an admission of failure on the part of Saudi Arabia. It further reconfirms Russia’s role and commitment towards Syria. It is a further proof that the US is disengaging in the Levant. In trying to reach a deal between Saudi Arabia and Syria, the only remaining obstinate foe of Syria, Turkey, will be left out alone in the cold. In any future negotiations, Turkey will have to strike a deal of its own without the support of any partners to count on. This will prove very difficult if and when the intended safety zone plan in the north of Syria fails. No doubt many cynics will look at this step with their regular short-sighted cynicism. They will argue it is a sell-out, just like they did with the chemical weapons deal. Many will not be able to read in between the lines, and because this meeting did not conclude in any results per se, they will not see that the fact that is was actually held heralds a whole new and very bright chapter for the near, and possibly, very near future. It is not unrealistic to see this meeting as the beginning of the end. There will be many hurdles to overcome, but the road is getting clearer and smoother for a huge victory.